Today when there seems to be an alarming concern to go green and save fuel, electric and hybrid cars have come as a blessing due to their use of alternative fuel sources. Although they are not used extensively by the public, it would not be wrong to say that they are here to stay. 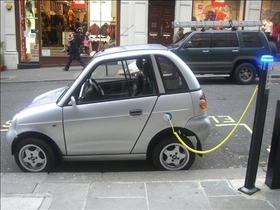 Electric cars as the name suggests run on electricity while hybrid cars run on two or more distinct power sources. Electric cars are commonly powered by a car battery pack known as battery electric vehicles, abbreviated as BEVs, while hybrid cars combine both an internal combustion engine and another source which can be one or more electric motors. Both electric and hybrid cars use alternative fuels which are much cleaner and emit less carbon monoxide than petrol fuels which produce gases which are very harmful to the environment. Hybrid cars combine two or more sources of power that can directly provide driving force. Both these cars are eco-friendly and are very cost efficient in terms of fuel. Both electric and hybrid cars can save us a huge amount on fuel costs and that is the primary selling point for why we should be using this form of car instead of a normal car. Electric cars are cleaner and pollute less whereas hybrid cars too are cleaner because they use motor energy and at the same time powerful because of the gas- powered engine giving a better mileage too! Both this cars are at par with the normal cars in respect with styling, comfort and safety, thanks largely to technology. Electric cars are more expensive due to the fact that most of them run on lithium ion batteries while hybrid cars are expensive by design. Electric cars do not have the same power and acceleration as that of a normal car and are circumspect in hilly areas whereas same is the case with hybrid cars. Since electric vehicles demands charging after a certain distance they are not ideal for long distance traveling whereas hybrid cars in order to facilitate high speed are made of lighter materials which can be damaging in case of serious accidents. First things first, cars powered by alternative fuels are the future and it would be suicidal for us to ignore them for obvious reasons. Since both these cars use alternative fuel they are handy. They have their share of usage benefits. 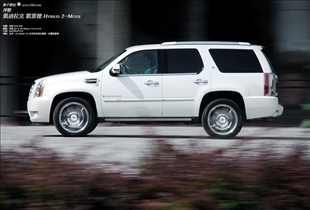 Cars are normally chosen according to their comfort, beauty, usage, durability. It is an individual's choice as to which one to choose as one's own car, be it electric or hybrid or fossil fuel. Which is better environment friendly car? Hybrid cars is better than Electric cars. Because few disadvantage in Electric cars like the batteries will need to be recharged. A second disadvantage to an electric car is that the batteries will need to be recharged. This will require advanced planning because you'll have to allow adequate time for the batteries to be fully charged. Lack of power is another disadvantage of Electric cars. Electric & Hybrid cars is future of automotive industries. Both are Eco-Friendly cars, which helps to environment. Today's electric & hybrid cars price range is high. But, in the future many of automotive companies increase hybrid & electric car production, which is afforded to anyone. Anyone who thinks that an electric car is better on the environment should tour a power company. When you charge an electric car you are simply consuming more electricity simply increasing your source energy dependence which results in more fossil fuel consumption. It is just a out of sight out of mind example.